It is amazing to me that so many important laws and rulings have fallen into such obscurity that when you tell people about them they scoff or even try and ridicule you. We wonder why the constitution is ignored so much it is simply because of a lack of knowledge by the people and even the officers of the law and courts. The County Sheriff is a long established icon for keeping the peace and administering the law. Not only in American Jurisprudence but also in English and UK jurisprudence and in history along with many other European nations and even India. The Sheriff is the only Officer of the law that is duly Elected by the people and thus answers to them and no one else as will be shown by this memorandum. He is not appointed and therefore is directly chosen by the people as their duly elected representative and defender of their rights. This is a very important point that has been forgotten and largely lost in these modern times. Therefore it is the Sheriffs duty to serve and protect those who have entrusted him with their delegated authority to keep the peace and protect their rights. This is a great responsibility and not to be taken lightly. It is the hope that this memorandum of law citing the law and Rulings of the Supreme court that we can reestablish the importance of this Sacred office and educate the people and the county Sheriffs to the awesome responsibility the office of Sheriff holds in protecting the freedoms of the people of his county. and all Treaties made, or which shall be made, under the Authority of the United States, shall be the supreme Law of the Land; and Judges in every State shall be bound thereby, any Thing in the Constitution or Laws of any State to the Contrary notwithstanding. Here we have the US Constitution established as the supreme law of the land and the Judges in every state are bound by it. This is very important. All the state constitutions also very closely resemble the US Constitution. This means the Bill of Rights applies in every state and Judges and officers are bound by it and obligated to uphold these rights and take an oath to uphold the US Constitution. Here in Marbury v. Madison with Norton v. Shelby corroborating the supreme court has ruled that if any law is passed that comes into conflict with the Constitution it is null and void from the minute it has been passed and there is no obligation to obey nor power to enforce and it is as if it had never existed. This is very important for Peace officers to understand and adhere to. These rulings have never been over turned and are landmark cases in American Jurisprudence. Courts lose jurisdiction if they do not follow Due Process Law. office, you are subject to the charge of capital felony treason. This is very important for all officers of the law to understand for their oaths of office are to uphold the Constitution. This is explicitly to protect the people and their rights from being abused. It is hoped that all officers think and ponder deeply on this especially in this information age when errant officers whose actions have reflected badly on the rest have been broadcast nationally. Further more officers should reflect on any acts they enforce and whether they are constitutional. As we shall see in more rulings it is not just for the courts to decide as many now believe. We the people are the express beneficiaries of the US Constitution. This is another land mark case. We see here the supreme court as ruled that no state can charge a fee to exercise a right nor can it convert a secured liberty into a privilege and issue a license and fee for it. This is violated daily now in America. This ruling has not been overturned. Violation of this provision happens largely because both the people and officers are unaware of this ruling and its daily violation has become a matter of routine therefore tolerated as a necessary evil so to speak. One wonders how such an important Supreme court ruling could fall into such obscurity? Here the supreme court has ruled that such acts can be ignored with impunity. Again how does such an important landmark case fall into obscurity? Isn’t it time for Americans to rediscover their history and rights? Now let us look at a specific landmark Case brought by two County Sheriffs against the Federal government and the important implications of this case in regards to the County Sheriff’s Authority and who he answers to. These Sheriff’s were Sheriff Jay Printz of Montana and Sheriff Richard Mack of Arizona. This was in regards to the enforcement of the Brady Bill by Local Sheriff’s and their refusal to do so however its rulings extend far beyond just that. This clarifies where the Sheriffs authority is derived from and that its the people who elected him and his duty to use his authority protect their rights. Here the court clearly states the Federal government has no authority in the County Sheriff’s Jurisdiction and even states that the opposite of having any authority is the case. This is significant as we will see in further rulings. Here the Court upholds the Sovereignty of the States and the people reaffirming the tenth Amendment and even quoting part of it and that there are rights the people have that are not listed and they are every bit as binding as those listed in the Bill of Rights. Read that again if you will! Local or municipal authorities form distinct and independent portions of the supremacy and are not subject to the General authority any more then it is subject to them within its own sphere. Did you hear that? The Sheriff is not subject to the state authority nor the federal Authority within his own sphere anymore then they are to him!!! That means the Sheriff is the highest officer of the law in his jurisdiction and the only authority he answers too is the People! That means he has the authority to protect his county from federal encroachment and enforcement of unconstitutional acts statutes and polices. Now to any Sheriffs who may be reading this do you see your awesome responsibility of the authority that has been conferred on you? Will you protect the people of your county from Federal agents who enforce unconstitutional laws now knowing your authority? Especially since the Supreme court has ruled in several cases (and none of them have been over turned) that an unconstitutional law is null and void from inception and is as if it had never been passed? Please dear Sheriff’s think and ponder long and hard on this and resolve to uphold your oaths! We are either a nation of laws or we are not! This separation of the two spheres is one of the Constitution’s structural protections of liberty. “Just as the separation and independence of the coordinate branches of the Federal Government serve to prevent the accumulation of excessive power in any one branch, a healthy balance of power between the States and the Federal Government will reduce the risk of tyranny and abuse from either front.” Gregory, supra, at 458. To quote Madison once again: “In the compound republic of America, the power [delegated] by the people is first divided between two distinct governments, and then the portion allotted to each subdivided among distinct and separate departments. Hence a double security arises to the rights of the people. The different governments will control each other, at the same time that each will be controlled by itself.” The Federalist No. 51, at 323. Again we have reiteration that any unconstitutional act is not law and should be treated as such from inception. There is no need to wait for a court ruling on the law we already have the court rulings many of which our listed in this memorandum. “Accordingly, the judgment of the Court of Appeals for the Ninth Circuit is reversed. There are more and one can do an internet search on any of their names to learn more. Sheriffs who know and understand their authority really are Americas last hope and it is gratifying to see more and more of them speaking out and affirming our constitutional rights to keep and bear arms during this time. It is our hope that this memorandum of law affirming that they have authority to prevent federal agents from enforcing unconstitutional acts will embolden them to rise to the occasion. Please forward to any and all Sheriffs nation wide and let them know the law and the People are on their side if they are willing to uphold their oaths of office! I’m going to take you deep into the rabbit’s hole. This is NOT for the unaware, the sheep who are still asleep. It may even go over the heads of some of those who are awake. As always, don’t take my word for it: do your own research and draw conclusions that make logical sense to you. – – – – – – – – – – – – – – – – – – – – – – – – – – – – There is a tremendous amount of debate over firearms rights, and proposed legislation for what advocates call “gun control”. I’m not trying to repeat what’s already going on in the echo chamber. There are plenty of unawakened people who are well enough informed to successfully fight that battle. Nor will I analyze the serious psy-op being conducted in the aftermath of the school shooting in Connecticut. In my ever continuing quest to enlighten as many people as possible to use their own mind to think for themselves, I am offering here an opposite consciousness analysis of what’s really going on in a larger sense. 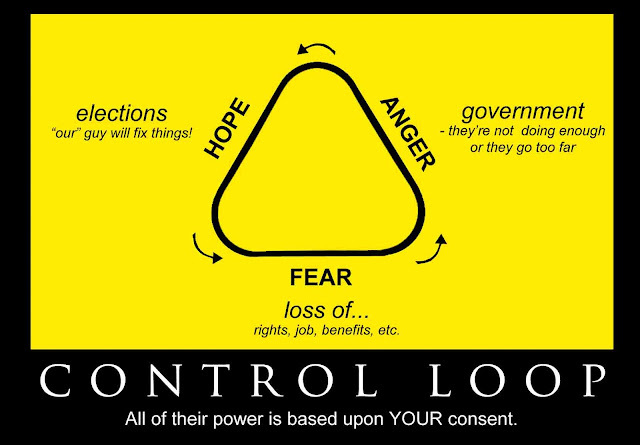 The system absolutely must not permit you to think outside of their controlled argument. It’s always been framed in the confines of Democrat vs. Republican and their associated value systems. Let us never forget that the purpose of the modern monopolized press is not to inform but to generate and maintain the consent of the governed. Mostly by promoting the premise that the State is necessary and benevolent. We’re fed endless debate over policy and personalities but we’re never permitted to discuss the source of the problems: the system itself. 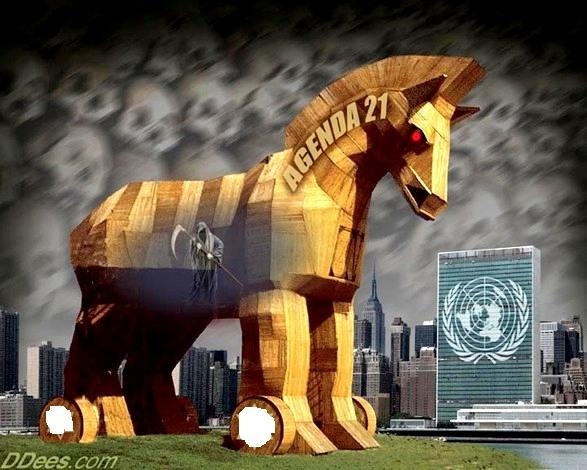 MAINSTREAM PRESS LIES ABOUT UN AGENDA 21—WHY? If you’re new to learning about UN Agenda 21/ Sustainable Development you’d be understandably confused about what it is and how it impacts you and your area. You may be wondering how something that affects every aspect of your life including education, health care, law enforcement, energy, land use, and economic development could have eluded your attention for more than 20 years. It’s only recently that the press even admits that UN Agenda 21 exists. Did the United Nations chose to call it the ‘Agenda for the 21st Century’ purposely in order to block further investigation? It sounds crazy. Up until very recently anyone who referred to UN Agenda 21 was labeled a ‘conspiracy theorist’ or a nut. Now the press acknowledges its existence but says it is a non-binding, twenty year old plan that has no impacts on local government. The United Nations, you are told, is ineffectual and the US just ignores proclamations and agreements it doesn’t like. The rallying cry of Communitarianism pervades your newspaper, television, workplace, and school room as you are encouraged to ‘give back,’ to volunteer and to think about the common good. If you question you are considered selfish and you won’t be invited to the communal bike rides and neighborhood parties. If you’re like us you were a young progressive Democrat in November 1992 and thought Clinton was doing fine (well, a bit later we thought Don’t Ask Don’t Tell was rotten, and the war in Kosovo looked like a battle to control the heroin trade into Europe, and we thought it was nuts to give loans to people who couldn’t afford them). Yes, you thought Clinton was doing fine now that Bush was out of office. You were excited to be part of a movement to encourage recycling and creative reuse. You felt good about yourself and thought Republicans were a bunch of flag-waving rednecks who ate raw meat and slept with their spurs on. You didn’t know any Republicans personally, and you didn’t want to. Your magazines–Earth Island Journal, Mother Jones, The Nation–were full of the degradation of the planet and the destruction of biodiversity. You were disgusted with developers, oil men, and big corporations and you blamed all of this on Republicans. After the Clinton impeachment trials you were even more convinced of the viciousness of the Republicans. You joined MoveOn.org and hosted political parties in your home. Later, 8 years of Bush Jr cemented your outlook even further. Hanging chads, yellow cake uranium, Jessica Lynch, Shock and Awe, Valerie Plame, Karl Rove, mailing anthrax to the Democrats, all of this and more drove a huge wedge in between the parties. As a Democrat you wouldn’t even consider hanging a flag up on July 4th–people might think you were a Republican. Meanwhile, all of this time, the Sustainable Development machine moved forward. Both parties (feeding on corporate dollars) supported it, furthered it with legislation, strengthened the Environmental Protection Agency, and brought UN Agenda 21 principles into every federal agency–without your knowledge. When you did hear about it from the corporate owned mainstream press it was in glowing terms about saving the planet. You watched and suffered as your school systems were subjected to Goals 2000 and No Child Left Behind and Outcomes Based Education and Common Core never knowing that no matter how much money was thrown into these experiments in teaching and testing that your children would come out less able to live independent creative lives. Those who were diagnosed with learning disabilities were doused with drugs and warehoused for a dozen years–the silent illiterates. The kids who did well were overloaded with homework and staggering schedules that made office work seem like a relief. Right around 2002 the planning revolution exploded across America as Growing Smart: Legislative Guidebook with Model Statues for Planning and the Management of Change was brought into every planning department, university and college in the nation. Written by the American Planning Association and funded by a partnership between the federal government, Siemens Corporation, and wealthy foundations, this is the blueprint for the new laws and regulations being trotted out by your local city council and county supervisors. This planning revolution was sponsored by the President’s Council on Sustainable Development (1993-1999) as the first major step in bringing UN Agenda 21/Sustainable Development into the US. Every federal agency changed their policies to adhere to it. Those federal agencies are giving grants to local governments to implement it. The tracks of UN A21/SD are everywhere but the corporate press has lied about it for 20 years. When the press isn’t pretending that it doesn’t exist it does the next best thing: mocks anyone who questions or calls out Sustainable Development as a corporate takeover plot to eliminate pesky national boundaries and representative government. Using the lie of ‘consensus’ the corporation-funded non-profits go into neighborhoods and propagandize for programs and plans that give the illusion of strengthening the voice of the people. Instead that so-called consensus crafts public opinion and blocks anyone from dissenting. Yes, if you disagree with governance by unelected boards and commissions you’ll be shamed and cut out of the herd. Money talks, baby. Left, right, center–money talks. Now that the Democrats are on top the rhetoric has changed but the big money corporations are still calling the shots. BP is Green! Siemens (the Nazi corporation) makes high speed trains and light rail and owns water rights and solar and wind and makes huge amounts of money from GREEN. Siemens also funded Growing Smart Legislative Guidebook. IBM (Nazi collaborator) makes biometrics technology and smart grid and retinal scans and systems for water agencies to monitor you. If you’re a Democrat and you start saying the Emperor has no clothes you’ll be rejected, mocked, shamed, and smeared. Not many people will be brave enough to QUESTION AUTHORITY if it means rejection from the tribe. Most Democrats will ignore objections to Sustainable Development as a right wing Republican attempt to sway hapless followers. It’s easier than standing up and recognizing that the 1% is using green to manipulate the left. And the press? The corporate press is tasked with selling this to you and using the hard sell. The threat is that you’ll be destroying the planet if you don’t go along. They make it sound so good that you won’t ask the question: If this is so good why has it been a secret for the last 20 years? If this is so good why was the economy pumped and dumped? If this is so good why are my kids struggling to read? If this is so good why did I lose my house? If this is so good why are we still in Iraq and Afghanistan? If this is so good why is every single land use plan in the United States identical? If this is so good why are corporations persons? If this is so good why can’t Democrats and Republicans work together? If this is so good why was the National Defense Authorization Act passed? If this is so good why are we subject to domestic surveillance? If this is so good why are we on Prozac, Wellbutrin, and every other drug prescribed to make us not care? If you’re identifying yourself as a Progressive Democrat you’ll be inclined to think UN Agenda 21 is some fantasy of the right wing and laugh it off. Do you have the guts to admit that you’ve been wrong? Or will you listen to the corporate press and be duped? What does it take for you to realize that the left and right are fighting the same fight? It’s the banks and big corporations buying off the government and non-profits. Global governance. New World Order behind the green mask. “A New Year’s resolution,” the old wisecrack goes, “is something that goes in one year and out the other.” True enough for most of us, most of the time. So when 2013 got underway, I decided to skip the resolution ritual. Instead, I planned to work harder, longer, and smarter this year on behalf of something I can’t imagine life without—liberty. As indispensable as liberty is to the progress of humanity, its future is never assured. Indeed, on most fronts, freedom has been in retreat for years—its light flickering against the winds of ignorance, irresponsibility, short-term gratification, and power lust. That’s why it’s all the more important that those of us who believe in liberty become more effective spokespersons. 1. Get motivated. Liberty is more than a happy circumstance. It’s a moral imperative, worthy of every ounce of passion that good people can muster. It’s not just about getting keyed up in an election year, or responding to some issue of the day. It’s always the difference between choice and coercion, between living your life or others living it for you (and at your expense). If liberty is lost, it may never be restored in your time or in that of your children and grandchildren. For solving problems, avoiding conflict, and bringing people together, there’s no worse course than politics and force, and no better path than liberty for peaceful exchange and cooperation to flourish. 2. Learn. More precisely, never stop learning! To be an effective persuader, there’s no good substitute for commanding the facts and the foundations. Know our ideas backwards and forwards. You can never read or listen to too much economics, history, or philosophy to be the best persuader in your neighborhood. Let the other side talk in bumper stickers. Come armed with substance as opposed to slogans. 4. Use humor. Even serious business needs moments of levity. Seasoning your case with humor can make it more appealing, more human. If you can’t smile when you’re making the case for liberty—if you can’t evoke a smile or a chuckle from the person you’re talking to—then you’re on the way to losing the battle. Humor breaks the ice. 5. Raise questions. You don’t have to lecture every potential convert. Learn to deploy the Socratic method, especially when you’re conversing with a rigid statist ideologue. Most of the time, such people hold the views they do not because they’re well acquainted with libertarian thought and have rejected it, but because they just don’t know our side. A skilled line of questioning can often prompt a person to think about their premises in ways they never have before. 6. Show you care. It’s been said that people don’t care what you know if they don’t know that you care. Focus on real people when you argue for liberty. Laws and policies inimical to liberty produce so much more than bad numbers; they crush the dreams of real people who want to improve their lives and the lives of those they love. Cite examples of people and what happened to them when government got in the way of their progress. That said, don’t dwell on the negative. Be just as generous in citing examples of what specific people have accomplished when they’ve been given the freedom to try. 7. Seize the moral high ground. Liberty is the one socioeconomic arrangement that demands high standards of moral character. It cannot survive if people are widely dishonest, impatient, arrogant, irresponsible, short-term focused, and disrespectful of the lives, rights and property of others. This truth speaks volumes about the moral superiority of liberty over all other “systems.” Humanity is composed of unique individuals; it is not an amorphous, collective lump to be pushed around by elitists who fancy themselves our masters and planners. Any arrangement that purées our distinct lives in a collectivist blender is a moral offense. Use this argument to strike at the very heart of any opponent’s case. 8. Develop an appealing persona. A libertarian who knows all the facts and theories can still be repulsive and ineffective if he’s condescending, vengeful, coarse or crude, self-righteous, or often in “attack” mode. This is why Dale Carnegie’s classic, How To Win Friends And Influence People, should be on every libertarian’s “must-read” list. Do you want to change the world or just beat your breast? Talk to others or talk to yourself? And slow down on the negativity! Some libertarians only talk about bad news. These are the folks who see nothing good happening anywhere. This attitude comes across as if they’re telling you, “Stop having fun. The only good news is that there isn’t any. If you think there is good news, we’ll tell you why it isn’t.” This attitude wears badly and rarely wins converts. Heroes and heroic stories are all around us; don’t ignore them by dwelling on the scoundrels and the disappointments. 9. Don’t demand total and immediate acceptance. Have you ever run into a libertarian who lets you know that unless you fully confess all your intellectual sins and repent on the spot, you’re a pariah? The history of progress in ideas provides few examples of wrong-on-everything transforming into right-on-everything in a momentary leap. We must be patient, inviting, and understanding. Know when the cracks are appearing in an opponent’s wall and give him room to tear it down himself. Remember that all of us hold views today that we didn’t accept in our past. None of us came out of the womb with a copy of The Road to Serfdom in our hands. 10. Make allies, not enemies. A handful of cloistered, ineffective—but noisy—libertarians fancy themselves keepers of the faith. They behave as though the greater enemy is not those who embrace no libertarian precepts at all, but rather those who embrace many, but not all, libertarian precepts. So when they find a fellow libertarian who once held different views, or departs from orthodoxy on an issue or two, they start to vilify him. It makes them feel good, but works against the larger cause. If we say we want to make the world a better, more libertarian place, we can’t make it painful for anyone to move in the right direction. Lawrence W. (“Larry”) Reed became president of FEE in 2008. Prior to that, he was a founder and president for twenty years of the Mackinac Center for Public Policy in Midland, Michigan. He also taught Economics full-time and chaired the Department of Economics at Northwood University in Michigan from 1977 to 1984. No more decisions behind closed doors! Let’s get everyone talking about Common Core. In the spring of 2011 I received a receipt for the sale of my children. It came in the form of a flyer that simply notified me that my state and thereby my children’s school would comply with the Common Core. No other details of the transaction were included. The transaction was complete, and I had no say. In fact, it was the very first time I’d heard about it. I know what you’re thinking. That’s outrageous! Common Core has nothing to do with selling things, especially not children! Okay, so the idea that the State School Board and Governor who’d made this decision could be described as “selling” my children is hyperbole. It is an exaggeration intended to convey an emotion regarding who, in this land of the free, has ultimate authority over decisions that directly affect my children’s intellectual development, privacy, and future opportunities. It is not even an accurate representation of my initial reaction to the flyer. I say it to make a point that I didn’t realize until much, much later… this isn’t just an issue of education, but of money and control. Please allow me to explain. That first day my husband picked up the flyer and asked me, “What is Common Core?” To be honest, I had no idea. We looked it up online. We read that they were standards for each grade that would be consistent across a number of states. They were described as higher standards, internationally benchmarked, state-led, and inclusive of parent and teacher in-put. It didn’t sound like a bad thing, but why hadn’t we ever heard about it before? Again, did I miss the parent in-put meeting or questionnaire… the vote in our legislature? Who from my state had helped to write the standards? In consideration of the decades of disagreement on education trends that I’ve observed regarding education, how in the world did that many states settle all their differences enough to agree on the same standards? It must have taken years, right? How could I have missed it? I stopped asking. I started reading. I read the standards. I read about who wrote the standards. I read about the timeline of how we adopted the standards (before the standards were written.) I read my state’s Race to the Top grant application, in which we said we were going to adopt the standards. I read the rejection of that grant application and why we wouldn’t be given additional funding to pay for this commitment. I read how standardized national test scores are measured and how states are ranked. I read news articles, blogs, technical documents, legislation, speeches given by the US Education Secretary and other principle players, and even a few international resolutions regarding education. I learned that most other parents didn’t know what the Common Core was either. I learned that the international benchmark claim is a pretty shaky one and doesn’t mean they are better than or even equal to international standards that are considered high. I learned that there was NO public input before the standards were adopted. State-level decision makers had very little time themselves and had to agree to them in principle as the actual standards were not yet complete. I learned that the only content experts on the panel to review the standards had refused to sign off on them, and why they thought the standards were flawed. I learned that much of the specific standards are not supported by research but are considered experimental. I learned that in addition to national standards we agreed to new national tests that are funded and controlled by the federal government. I learned that in my state, a portion of teacher pay is dependent on student test performance. I learned that not only test scores, but additional personal information about my children and our family would be tracked in a state-wide data collection project for the express purpose of making decisions about their educational path and “aligning” them with the workforce. I learned that there are fields for tracking home-schooled children in this database too. I learned that the first step toward getting pre-school age children into this data project is currently underway with new legislation that would start a new state preschool program. I learned that this data project was federally funded with a stipulation that it be compatible with other state’s data projects. Wouldn’t this feature create a de facto national database of children? I learned that my parental rights to deny the collection of this data or restrict who has access to it have been changed at the federal level through executive regulation, not the legislative process. I learned that these rights as protected under state law are currently under review and could also be changed. I learned that the financing, writing, evaluation, and promotion of the standards had all been done by non-governmental special interest groups with a common agenda. I learned that their agenda was in direct conflict with what I consider to be the best interests of my children, my family, and even my country. Yes, I had concerns about the standards themselves, but suddenly that issue seemed small in comparison to the legal, financial, constitutional and representative issues hiding behind the standards and any good intentions to improve the educational experience of my children. If it was really about the best standards, why did we adopt them before they were even written? If they are so wonderful that all, or even a majority of parents would jump for joy to have them implemented, why wasn’t there any forum for parental input? What about the part where I said I felt my children had been sold? I learned that the U.S. market for education is one of the most lucrative – bigger than energy or technology by one account – especially in light of these new national standards that not only create economy of scale for education vendors, but require schools to purchase all new materials, tests and related technology. Almost everything the schools had was suddenly outdated. When I discovered that the vendors with the biggest market share and in the position to profit the most from this new regulation had actually helped write or finance the standards, the mama bear inside me ROARED! Could it be that the new standards had more to do with profit than what was best for students? Good thing for their shareholders they were able to avoid a messy process involving parents or their legislative representatives. As I kept note of the vast sums of money exchanging hands in connection with these standards with none of it going to address the critical needs of my local school – I felt cheated. When I was told that the end would justify the means, that it was for the common good of our children and our society, and to sit back and trust that they had my children’s best interests at heart – they lost my trust. As I listened to the Governor and education policy makers on a state and national level speak about my children and their education in terms of tracking, alignment, workforce, and human capital – I was offended. When I was told that this is a done deal, and there was nothing as a parent or citizen that I could do about it – I was motivated. Finally, I learned one more very important thing. I am not the only one who feels this way. Across the nation parents grandparents and other concerned citizens are educating themselves, sharing what they have learned and coming together. The problem is, it is not happening fast enough. Digging through all the evidence, as I have done, takes a lot of time – far more time than the most people are able to spend. In order to help, I summarized what I thought was some of the most important information into a flowchart so that others could see at a glance what I was talking about. I am not asking you to take my word for it. I want people to check the references and question the sources. I am not asking for a vote or for money. I don’t expect everyone to agree with me. I do believe with all my heart that a decision that affects the children of almost every state in the country should not be made without a much broader discussion, validated research, and much greater input from parents and citizens than it was originally afforded. If you agree I encourage you to share this information. Post it, pin it, email it, tweet it. Thanks to Alyson Williams for permission to publish her story. The Constitution of the United States is an undeniably powerful document. So powerful in fact, that it took establishment elitists with aspirations of globalized governance over a century to diminish the American people’s connection to it. It’s been a long time coming, but in the new millennium, there is now indeed a subsection of the masses that not only have no relationship to our founding roots, they actually despise those of us who do! However, our propaganda soaked environment is not the ONLY cause of our self destructive society; many people are themselves to blame. Severe character flaws and psychological imbalances have left some open to suggestion, manipulation, and fraud. Their hatred, though fueled in part by the socialization of the establishment, is still theirs to own. The brutal ignorance on display in mainstream circles against the liberty-minded needs to be addressed. In my view, the American public is being conditioned to see us as a convenient “enemy” which they can use to project all their internal grief and woe. Our country is on the verge of collapse, economically, politically, and philosophically. Corporatized elements of our government and the financial high priests of the international banking sector are behind this calamity, and of course, they don’t plan to take responsibility. Who better to demonize as the catalyst for all the pain that is coming than the only people who have the awareness and the means to stand against the catastrophe? There is no doubt in my mind that a great conflict is near, between those of us who value liberty and constitutional protections, and those who would destroy them. This battle is unlikely to be solved with words. The anti-constitutionalist rhetoric is becoming so ruthless, so malicious, that it can only lead to a hardening of our own hearts, and an equally forceful response. What causes someone to hate freedom-loving people so much that they would destroy their own liberties just to drive us away? Is this not cutting off their own nose just to spite OUR face? Or, do they even see the loss of freedom for themselves as a bad thing? I have found in my role as a Liberty Movement analyst and through literally tens of thousands of debates that anti-constitution advocates are, for the most part, of limited intelligence. These are the average useful idiots who know little of history, politics, economics, etc., but feel the desperate need to appear as though they are experts on everything. This usually results in constant attempts to show off for anyone who will pay attention, usually with sound-bites they heard on the nightly news coupled with remedial attacks against the character of those who dare to step outside the mainstream. The problem is that deep down, they know they are not very bright. And so, they seek to always travel with the herd on every issue, for if they cannot be smart, they can at least be accepted. Ironically, if constitutionalism was being pushed by the mainstream, they would automatically change their tune. It is probable that they have run into a Liberty Movement proponent (most of whom are well versed in history, politics, and economics) at least once in their lives, went in for an attack, and were utterly destroyed. Their inferiority exposed, they learn to detest anything associated with constitutionalism. Not all anti-constitutionalists are dense. A limited few are very intelligent, but morally bankrupt. The Constitution is not just a legal document; it is also an emotional and spiritual document. If one does not have a relationship with his own conscience and the concept of natural law, then he will discover little in the founding ideals of America that he agrees with. Some people (usually corrupt politicians and judges) see the law as a weapon to be used against their ideological opponents, whereas constitutionalists see the law as a shield to protect us from such despots. The Constitution and the Bill Of Rights are both designed to protect our Absolute Freedoms. That is, freedoms that are inborn and which no person or government is qualified to give as a gift, or take as if they are a privilege. Nothing angers those who seek power more than a legal framework which they are not allowed to touch, or shift, or “tweak” to suit their private ambitions. Constitutional protections are not meant to be subject to the “buts” and “what ifs” common in the lesser legal world. They are not open to debate. Our rights are not subject to the demands of the so-called “majority”. Our rights are eternal, and unchangeable. Anti-constitutionalists attempt to work around the absolutes of the document by implementing subversive law backed by flawed logic. But, a law which destroys previous constitutional rights is not a law which any individual American is required to follow. Even an amendment that undermines our civil liberties is not legally binding. The freedoms put forth in the Constitution and the Bill Of Rights are SET IN STONE (and this includes the right to bear arms in common use of the military of our day). They cannot be undone without destroying the very fabric of the republic. Some people are predisposed to be followers. They do not want to take responsibility for their futures or even their own actions. They do not like questions. They do not like dilemmas. They want to be left to wallow in their own private prisons, where they are comfortably enslaved. I remember participating in an End The Fed rally in Pittsburgh in early 2008 which was, like most activist rallies, meant to expose the uneducated public to ideas they may not have heard before. I found it interesting that around a quarter of the people who strolled by our picket line automatically sneered, as if by reflex, even though they had probably never heard our position, or even heard of the Fed. It dawned on me that they were not angered by our political or economic views. Instead they were angered by the mere fact that we were there. We were vocal, and defiant, and a disruption to their daily robot-like routine. They hated us because we were ruining their fantasy of disconnectedness. Constitutionalists are predominantly individualists. We do not cater to collectivist fairy tales. We do not seek to roll with the tide just for the sake of finding our “place” within the machine. We do not care about “fitting in” with the mainstream. This is often confounding and infuriating to those who have labored their whole lives to please “the group”. They accuse us of being “isolationists” in response. What they do not comprehend is that illusion and delusion have isolated THEM, while the truth has brought constitutionalists together. For the past few decades our society has become engrossed with the idea of “proper language and behavior”. Of course, their idea of “proper” usually involves ignoring the reality of a thing. For a Constitutionalist, a spade is a spade, and we tend to call it like we see it. We don’t bother ourselves with superficial niceties that get in the way of legitimate debate or legitimate change. We are not “pleasant” and tolerant with those who would kill our freedoms. We do not pull punches. We are direct, and sometimes, brutal in our analysis. A large percentage of men and women in this world have never been truly passionate about anything. They simply eat, breath, and defecate their way through life, scrounging about the squalor of a broken system for whatever brief moments of comfort they can find. They have never explored their inner workings or suffered the hardship of individuation. They have never been forced to seek out an inner strength, a personal treasure, which guides them to a greater purpose. Everything they think they believe in has been conditioned into them. Their uniqueness is suppressed, and their characters shallow. They have never loved an idea, or a principle. Constitutionalists LOVE liberty and the mechanics of freedom. We love the values of a sovereign republic and the opportunities that such a system provides when collectivists are removed from the picture. There is no question or doubt in our minds; we would fight and die to protect the pillars of the Constitution. When confronted with this kind of passion, the average person is shocked and sometimes appalled. The idea of unshakable will is frightening to them. They are so used to compromising in every aspect of their lives that when they run into an uncompromising man, they reel in horror. That which they see as “fanaticism” is instead an excitement, a boundless joy, a fervent desire to protect something universal and precious. What they see as “extreme”, we see as essential. Most people who seek to deny and destroy constitutional liberties tend to lean towards a collectivist philosophy. They are usually socialist, or a variation (Marxist, Fascist), and can be professed members of either major political party. They believe that their vision of a perfect cultural system is the “correct” vision. They see the Constitution as “archaic” or “outdated”. They see it as nothing more than an obstacle to progress which must be toppled. The “perfect world” that the collectivist strives for functions on centralization: the removal of options until there are no choices left for the common man except those which the collectivist wants him to have. This world usually suffers from limited free speech, limited civic participation, zero tolerance for dissent, near zero privacy from government eyes, a completely disarmed populous, unaccountable leadership, and the encouragement of informer networks and betrayal for profit. The goal is to intimidate the whole of a nation into dependence on the system, until every necessity from food to self defense is parceled out by the state. Collectivists understand one thing very clearly; an America without the Constitution is destined to become a centralized country. They will, of course, claim this is a gross exaggeration. They will claim that this time will be different. That the collectivist experiments of the past, which produced nothing but destruction and genocide of their own populations, are nothing similar to what they are espousing. They will pretend as if their vision is new, progressive, and far more practical than the vision of the Founding Fathers. In the end though, all they are promoting is a system as old as history; the feudal kingdom. The mercantile oligarchy. The militarized state. At the height of their vicious sabotage of the republic, they will demonize our very heritage, claiming that it was a sham. That we were never able to “live up to our beliefs anyway”. That we are “hypocrites”, and this somehow negates the reverence we give to the Constitution. Unfortunately for them, we know better. We understand that the principles of the Constitution are not something we grasp at all times, but rather, something to which we aspire to, and grow into as our nation matures. They require patience, and wisdom. They force us to question our own “brilliance”, and our own egos. They anchor us, preventing us from being swept away in the storms of fear. There has never been and there will never be a better method of law and governance than that method which defends the individualism and freedom of the people. The most fantastic of human accomplishments, in technology as well as in philosophy, spring from the nurturing waters of liberty. Free minds and hearts create. They refuse to be contained, and the Constitution gives us license to ensure that they will never be contained, even to the point of revolution. To deny constitutionalism, is to endorse oppression. May we forever rebel against the agents of “progress”. May we forever give them something to hate. When I read on Page 185 of the March 2011 Cobb County Comprehensive Plan that the county supports the advancement of sustainable development policies as defined by the United Nations Division of Sustainable Development, I could no longer ignore that the U.N. Agenda 21 (A21) policies were real and thriving in America. The U.N. policies are detailed in a 300-page document along with the Local Agenda 21 Planning Guide. Sold as protecting the environment, sustainable development policies are more far-reaching than our fields and streams. A21 outlines plans for the control of land use, housing, transportation, food production, consumption patterns, water, energy, education, the role of industry and health care. Sounding familiar? We have been bombarded with these global plans of change. Warm and fuzzy words like “comprehensive planning,” “smart growth,” “public-private partnerships” and “outcome-based education” were chosen by central planners to camouflage a desired alternate outcome. As adults, we are familiar with marketers using positive labels to encourage us to act in ways not always in our best interest. These words in the A21 plan were carefully chosen to make us feel better about giving up our sovereign rights. Conversely, negative labeling and hate speech are used when citizens disagree. This is not a Republican or Democratic issue. Elected servants in both parties have worked to implement regionalism and public-private partnerships to fundamentally transform America. Economic models endorsing public-private partnerships violate free market principles by benefiting favored corporations, protecting private gains and leaving taxpayers obligated for losses. It proposes a “Communitarian” model of governance that is diametrically opposed to the American way. In reality, the U.N. policies include plans to re-engineer human society through regional equity schemes to spread the wealth. Regionalism as a subset of A21 gives appointed regional councils control of vast sums of taxpayer dollars while working unchecked. Once appointed, the taxpayers are unable to remove these councils through elections. It threatens our representative form of government. It violates our one-person, one-vote principle to equal legislative representation. The goals of protecting our natural resources are worthy. We can embrace the need to conserve the air, water and land as well as educate our children in a positive way. The real issue is the need for deeper research and honest dialogue into the ultimate goals of U.N. Sustainable Development while preserving the American principles of respect for private property rights, free enterprise and representative government. We need to root out who really benefits from the sweeping changes, as it is not the American people. It is no accident citizens across the U.S., including Georgians, are rejecting U.N. Agenda 21 policies. Field Searcy, of Cobb County, led a presentation on regionalism and Agenda 21 for Georgia Senate GOP members last month. Opponents of Agenda 21′s local implementation in the United States have begun mounting a notable resistance. At state capitals and city councils, activists are showing up to educate and lobby their elected representatives about the implications of this United Nations’ plan for sovereignty, property rights and the future development of the country. It has become such a widespread phenomenon that media outlets everywhere are spinning into damage control in effort to ridicule the anti-Agenda 21 movement, hoping that it will go away before the general population understands the issue. Now, a case in Georgia has triggered an all-out media frenzy, after a local group convinced the state’s Senate Majority Leader, Chip Rogers (R – Woodstock), to hold an information session on Agenda 21 attended by several other GOP senators and representatives. Conspicuously negative coverage is being used to pressure these politicians to avoid supposedly fringe elements in their constituency. The progressive, sustainability group Better Georgia released video of the meeting, and blasted the ‘extremist’ views presented, that included comparing Obama’s socialist vision with the plans of Joseph Stalin and Chairman Mao, which resulted in famine and genocide. Worse, according to the portrayals, is the involvement of one Field Searcy, who helped present the slideshow. Searcy had been booted from his Tea Party group for recommending people visit Infowars.com and tune into Alex Jones. The tea party group formally objected to Searcy’s activities in “actively promoting issues and beliefs derived from conspiracy theorist Alex Jones.” As such, his presence at the clandestine Agenda 21 meeting was presented as particularly damning. 11 Alive, the NBC affiliate in Atlanta, covered the meeting, mocking the conspiracy and “global control” theorists attempting to expose Agenda 21, telling viewers that the groups and politicians involved think people who believe in “environmentalism and sustainability” are part of the problem. Meanwhile, the Atlanta Journal-Constitution published multiple articles on the Agenda 21 presentation, including an op-ed titled, “Agenda 21: The lunacy infiltrating state leaders.” Regional papers promised that state Senator Chip Rogers would face “blowback” for hosting the information session, and otherwise insinuated that Rogers had been stung by the “secret” video that had “surfaced”. Further, liberal websites with national reach latched onto the opportunity for ridicule, distorting part of the presentation that discussed the use of Delphi Technique, crafted at the RAND Corp. for consensus building. Mother Jones published, “Top Georgia GOP Lawmakers Host Briefing on Secret Obama Mind-Control Plot,” complete with an image of Obama in front of a hypnotic backdrop. Raw Story and the Huffington Post mimicked the mocking mind control mantra, as did Slate who also noted the rising popularity of “UN panic” it linked with Deep South politics of fear. One author at the Examiner took it further, linking it to the secessionist movement now in the news cycle, with suggested overtones of racism, civil war and a ‘South will rise again’ mentality. Agenda 21 Full Video from Bryan Long on Vimeo. Speaking out against Agenda 21 is quickly becoming a component of the larger states’ rights movement. Americans are waking up to the undue power concentrated at the Federal government level, as well as to the larger takeover by foreign corporatist interests, including those that created the United Nations and have used it as a nose under the tent to create world government and rule through regulations and taxes implemented on the pretext of environmentalism. Locales from Casper, Wyoming to Los Angeles and Napa, California, among others, are being inundated with activists objecting to plans being sold under the guise of “smart growth,” “sustainability” and other buzz terms. “Stop Agenda 21″ groups have cropped up nationwide, and several government bodies have embraced the issue, to the chagrin of the establishment. Alabama passed statewide legislation banning Agenda 21 policies, and New Hampshire passed a similar measure through the House. The Texas GOP officially put Agenda 21 on its party platform, while Chip Rogers, the Georgia Senator mentioned above, attempted to introduce Agenda 21 legislation but was defeated. Infowars.com did a series of reports exposing the local groups in Central Texas implementing Agenda 21 by stealth, with funding from President Obama’s Partnership for Sustainable Communities, which is issuing planning grants through the U.S. Department of Housing and Urban Development (HUD). Obama’s initiative is a continuation of President Clinton’s Council on Sustainable Development, set up in 1993 to implement the United Nations’ 1992 Agenda 21. During one of the meetings, the bureaucrats became uneasy at repeated questions from local residents who objected to the development “vision,” while anti-Agenda 21 groups attended other meetings in protest. Wary of true grassroots movements of any stripe, the system is frantically trying to discredit a very real and important issue, while using the controversy to shame politicians from listening to voices coming from outside of the establishment controlled debate. The media harped on several county commissioners in Pinellas County, Florida who voted to remove fluoride. The contrived controversy was used to push them out of office, and their replacements are moving swiftly to re-fluoridate the water. Media outlets then bragged about the victory in intimidating the politicians and removing them from their posts. A similar effort is now underway in Georgia to hold these GOP figures “accountable” for hearing out their anti-Agenda 21 constituents. About the Stop the National Common Core Power Grab: Reclaim Local Control of Education DVD video. •Explains the origin of the Common Core – its genesis with private, progressive education interests in Washington, DC – and how the federal government imposed it on the states by tying its adoption to a chance at Race to the Top grants. •Demonstrates that by adopting the Common Core, a state relinquishes its control over what is taught in its schools and paves the way for a national curriculum designed by unaccountable entities in Washington. •Explains that the standards not only lack “rigor,” but in fact will diminish the education our children receive in English language arts and mathematics. •Outlines the problems with the national tests that are being designed – behind closed doors – to align with the Common Core. •Shows why the costs of implementing the Common Core will dwarf any federal grants received as a reward for adopting the standards. Simply put, the Common Core is designed to replace local and parental control over education with centralized, top-down control. The purpose is to train students for jobs, not educate them to be full, thoughtful citizens in our democratic republic. If we do not take action now to prevent this destructive experiment on our children, it will be too late.